Amazon’s unveiling of a Kindle tablet would shake up the industry and pose one of the biggest threats to the Apple iPad -- which is why the technology world has its eyes on the online retailer as it prepares for a media gathering in New York this week ahead of the holiday season. The iPad is still expected to maintain its dominance, as it will account for nearly 75 percent of the tablets sold this year. But the Kindle tablet could start a new era that beckons a major slugfest between not just Amazon and Apple, but also with other big players like Samsung and Motorola. Amazon has brand recognition, a bevy of existing loyal Kindle e-reader owners, and a Web-based e-commerce platform that includes one-click access to buying e-books, movies, digital music downloads, its own Android app store, and streaming media catalog. That adds up to Amazon being uniquely suited to go head-to-head with Apple in the tablet market and become a formidable competitor across the industry. Wednesday could be the day, as Amazon has scheduled a news conference. 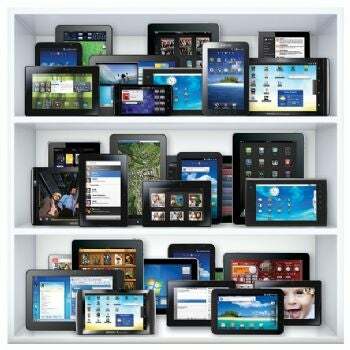 Forrester estimates that an Amazon tablet could sell between 3 million and 5 million units by the end of the year. While it borrows the name of the Amazon e-reader, the Kindle tablet is believed to be much more than just color upgrade to Amazon’s popular e-book reader, the Kindle. It’s expected to be a customized version of an Android-based tablet, more recognizable to an iPad or Motorola Xoom than a limited function e-book reader. Here’s a primer on what the Amazon Kindle tablet will look like and the competition it will spark. Rumors have circulated for months that Amazon is developing a tablet, and recently one reporter confirmed its existence and wrote of his hands-on experience working with a preproduction test unit. TechCrunch's MG Siegler says he has seen and touched a prototype of the Amazon Kindle tablet. He says the tablet is Android at heart, but distinctively Amazon in its implementation. Amazon has taken the open source Android OS and developed its own custom skin for the OS -- creating a user interface that mimics the ubiquitous Kindle motif with its dark blue, black, and orange color scheme. Siegler claims the Kindle tablet unit he worked with has a 7-inch display. Multiple sources -- including Siegler -- report that Amazon will also offer a 10-inch model of the Kindle tablet, but not until after the 2011 holiday season. Siegler also confirms that Amazon will offer the Kindle tablet for $250 -- half of the entry level cost for an iPad 2, Samsung Galaxy Tab 10.1, and Motorola Xoom. Even among its 7-inch cousins, the Kindle tablet will be competitively priced at $250. If the $250 price tag includes membership in Amazon Prime, as rumored, that price becomes a bargain. Membership in the service is a $79 value -- effectively bringing the cost of the tablet itself to only $171, and providing additional value unique to the Kindle tablet. Amazon Prime provides free two-day shipping on eligible Amazon purchases, and has its own Netflix-like movie streaming service. For example, there are also rumors that Amazon is preparing a subscription model for e-books, similar to what Netflix offers for movies; the book subscription would also be included as part of Amazon Prime. Amazon has already launched its own Android app store. The Amazon app store for Android integrates Android into the Amazon ecosystem, and the Kindle tablet will integrate Amazon into the Android ecosystem. The combination of the capabilities of Android and the brand recognition and respect of Amazon will make the Kindle tablet a formidable competitor. The Amazon Kindle tablet is entering an overwhelming sea of tablet rivals. The 7-inch form factor is closer to the size of the Kindle e-reader, and for many it hits a sweet spot between being large enough to be useful as a tablet, yet small enough to be more portable and well-suited for one-handed use. While the Kindle tablet will be measured against the iPad 2 like every other tablet, its real competition comes from other 7-inch tablets like the Acer Iconia A100, the Lenovo A1, and the upcoming successor to the original 7-inch Samsung Galaxy Tab, now bumped slightly larger to the 7.7-inch Samsung Galaxy Tab 7.7. Comparisons to the Barnes & Noble Nook Color are also inevitable. The $249 Nook Color is an e-reader, but it is built on its own custom version of Android, and Barnes & Noble eventually embraced those Android roots to make the Nook Color a low-cost Android tablet with its own app store. Barnes & Noble is also rumored to be launching a 10-inch version of the Nook Color before the end of 2011. It is expected to sell for $349, and will give Barnes & Noble a head start against a larger Kindle tablet for users who prefer the 10-inch tablet form factor. For all of its potential advantages, the Amazon Kindle tablet also faces challenges. First, just as there are those who prefer the 7-inch form factor, there are those who do not. At 7 inches, the display has significantly less real estate than a 9- or 10-inch tablet, yet it is still too big to fit comfortably in a pocket. It is possible that Amazon chose 7 inches to intentionally avoid direct iPad comparisons, or to make the device more appealing to the Kindle e-reader fan base. Customizing Android could be brilliant, or it could end up being Amazon's Achilles heel. Customizing Android enables Amazon to create a tablet experience that is unique to Amazon -- setting it apart from the array of rival Android tablets and putting Amazon in control of updates rather than waiting around for Google. But, the burden will be on Amazon to continue to develop and maintain its custom OS, and splitting off from the Android pack could lead to app compatibility issues -- especially as Android moves to its next-generation operating system, Ice Cream Sandwich, later this year. The other pitfall is the same one that plagues every tablet on the market: it's not an iPad. 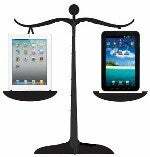 Apple dominates the tablet market with the iPad, and it is a dominant player in the smartphone area with the iPhone. The popularity of iOS is a self-perpetuating cycle. Millions of users are already invested in the Apple iOS ecosystem, and convincing them to break ranks and start over on a new platform is a daunting challenge. That said, the future seems bright for the Amazon Kindle tablet. Amazon is a respected brand name, and it has established the Kindle as the de facto e-reader. Merging the Amazon brand, the popularity of the Kindle, the functionality of Android, and the vast media and retail distribution ecosystem of Amazon into a single device at a reasonable price point seems like a perfect storm capable of actually putting a dent in Apple's dominance of the tablet market. We’ll have to wait and see. Follow PCWorld updates on the New York event.